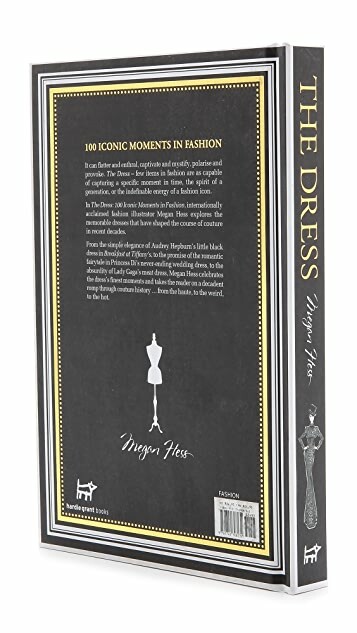 The Dress is a collection of the greatest moments in fashion history, beautifully illustrated by Megan Hess. Hess illustrates some of the most iconic dresses throughout fashion history. 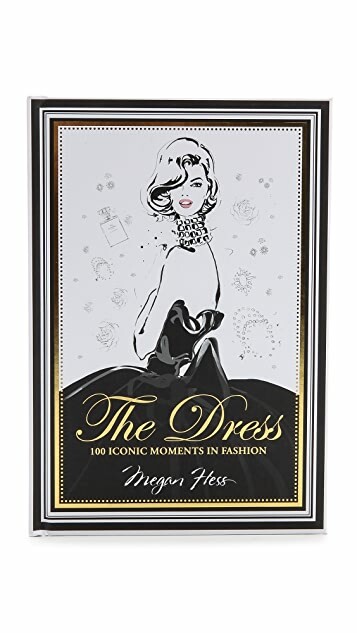 From the elegant, such as Audrey Hepburn’s simple black shift or Princess Di’s never-ending wedding dress; the quirky, such as Björk’s Swan Dress or the Liz Hurley safety-pin dress; to the simply unforgettable, such as Marilyn’s famous moment in white in The Seven Year Itch. 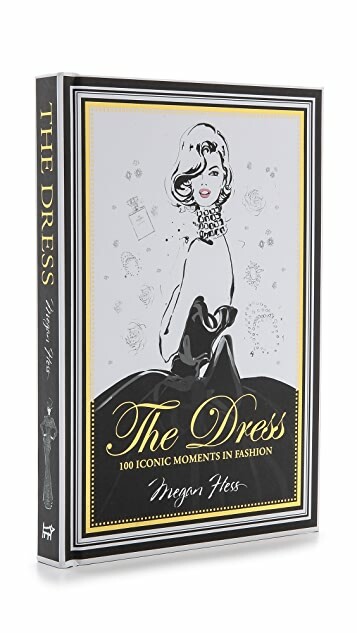 This book is an elegant and immersive introduction to the moments that shaped fashion—and how fashion, in turn, shaped our lives. I bought this for a gift but wanted to keep for myself :) It's such a great book, interesting and inspiring. Beautiful illustrations, good quality print, a pleasure to browse through it when I have a moment of peace. Great addition to my coffee table.